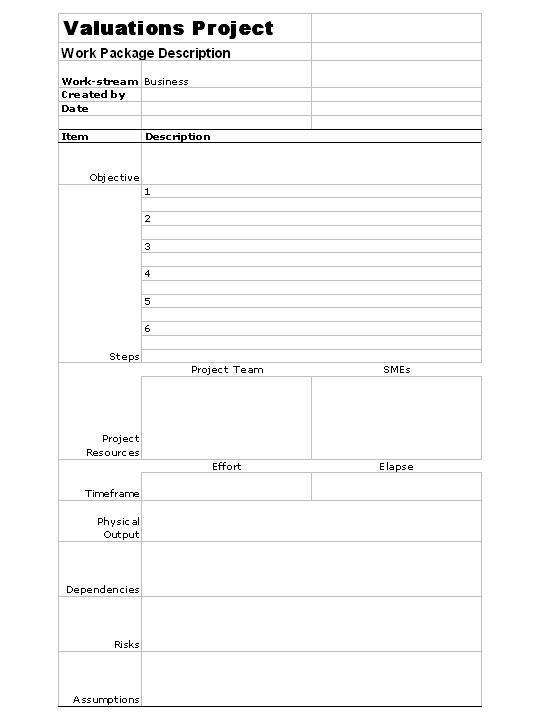 This is a sample template I designed for breaking down work elements for a project. I have used this on a recent project. When there are subsets of work items at a lower, ore detailed level I simply repeat and then staple them to the master. 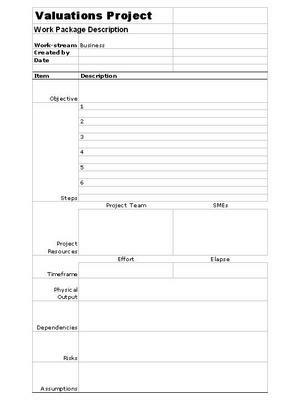 It seems to be a useful way to capture data when workshopping a project's WBS and trying to plan resources, dependencies, effort, time etc. After all you,as the PM, rarely know all the information you need to know to build a plan youself.